I am used to my interests intersecting, but usually because a game I like is adapted to a comic, or a comic that I like is adapted to a game or a movie. This might be one of the few times that a musician that I like is adapting their music to a comic book. 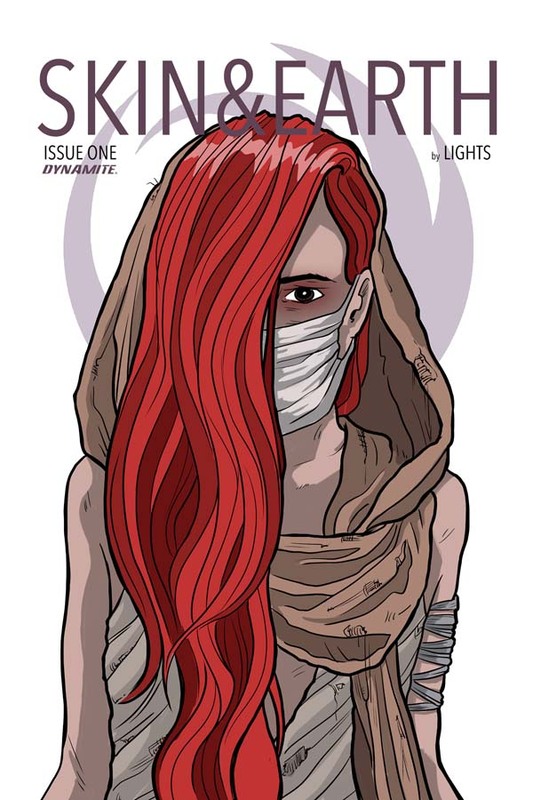 The electro-pop artist Lights is adapting her upcoming album Skin & Earth into a comic book to be published by Dynamite Comics. Skin & Earth is the follow up album to her phenomenal release Little Machines. If you haven't heard her music, you should. Lights' music is poppy, but with hidden depths that linger with you after the music. The first song that I ever heard from her was the fluffy "Toes," but it was one of those songs that made me want to listen again and again. I think she is in a similar vein to Ellie Goulding, but not quite as low key as she is. Once you start listening to Lights, you definitely won't want to stop. I am really looking forward to seeing how this comes out. We need more voices in comics, and I think that this book has the chance to be an extraordinary one. "I feel my whole life has lead up to a project like this" says Lights. 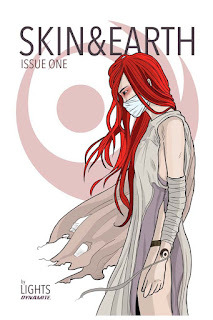 "It's a complete convergence of everything I love - music, comics, post-apocalyptic romance, crystals, wine and powerful ladies, all perfectly entwined. It'll be by far my most care-free and fierce album yet. I think now, more than ever, people need a reason to listen to a whole record, and this is mine." "In recent years, the worlds of comic books and music have come together to produce some of the most exciting and immersive books on stands," says Dynamite CEO and publisher, Nick Barrucci. "To have the opportunity to work with such a talented and dedicated musician who is both writing and drawing the series herself will be a truly unique treat for both her fans and ours." 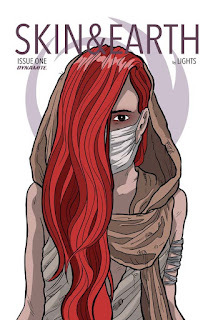 The comic series follows a young woman, En - a reflection of Lights herself - as she struggles to find hope in a hopeless world. Caught between romance and cults, gods and mortals, En is led down a dark path by new friends/lovers into a twisted fantasy world, forcing her to dig within and find the strength to overcome. Set in a post-apocalyptic future where corporations rule, Skin & Earth is an adventurous tale of loneliness and deceit, but ultimately becomes one of self-discovery and independence. Skin & Earth #1 will be solicited in Diamond Comic Distributors' May 2017 Previews catalog, the premier source of merchandise for the comic book specialty market, and slated for release in July. Comic book fans are encouraged to reserve copies with their local comic book retailers. Skin & Earth will also be available for individual customer purchase through digital platforms courtesy of Comixology, Dynamite Digital, iVerse, and Dark Horse Digital. 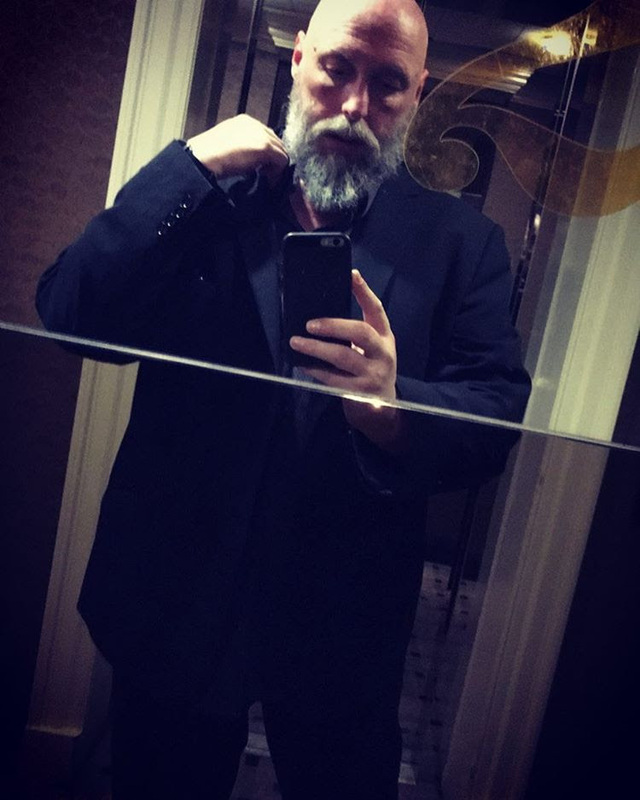 If you aren't subscribing to Warren Ellis' newsletter, you should be even if you aren't a comics fan. Once you've figured out that you're secretly always telling the same story, in one shape or another - how do you get around that? When you get tired of your own moves, however hermetically sealed they might look to a reader outside your head? You’re spending too much time thinking about what other people might think and too much time second-guessing yourself. Go where your energy is, and when you come to a point where you need to make a story choice, go with the less comfortable one. It’s only time and paper. Ride the wrong way for a while and see what happens. Don't second guess yourself, just create.